We are heading off for a cold climate trip and have been worried about keeping warm in our sleeping bags. Sue did some research and came up with the idea of using a Sea to Summit Reactor Sleeping Bag Liner to add an additional layer of insulation. A few days ago, Frank had an overnight camping trip at Lake Elizabeth in the Otway National Park , and created a “pre-trip” video checking out the liner. He used it that night with success (he was warm) but it was a mild night. 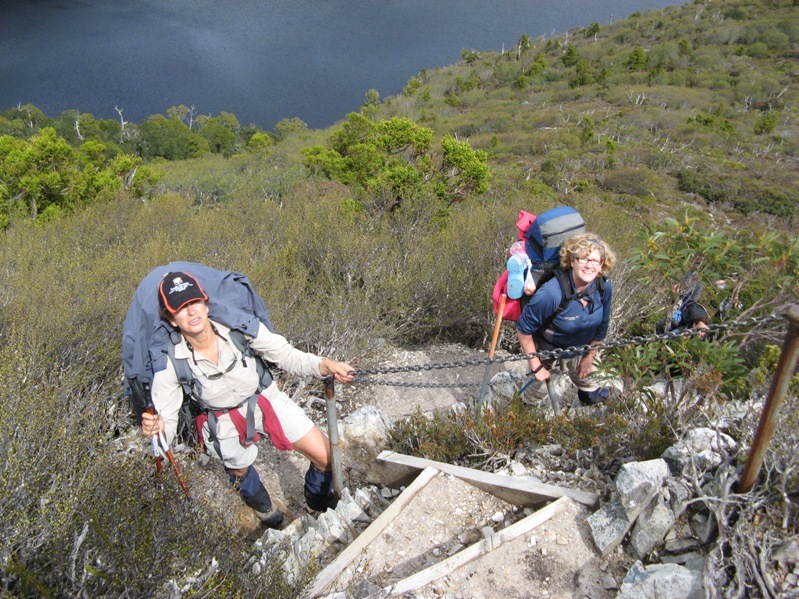 We will feedback how they perform once we return from Lake Oberon. 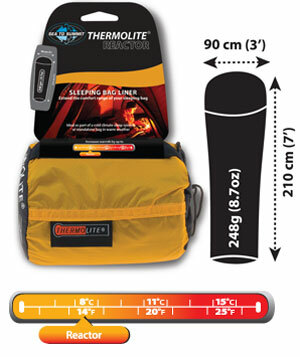 Overnight temperatures should be well below zero degrees c.
The liner increases sleeping bag performance by up to 8°C (14°F) with 80g/m² Thermolite® fabric. Ideal as part of a cold climate sleep system, or as a standalone bag in warm weather. The Reactor is made from the lightest weight Thermolite® fibre. Have you tried out one of the Sea to Summit liners? Did it provide additional insulation? 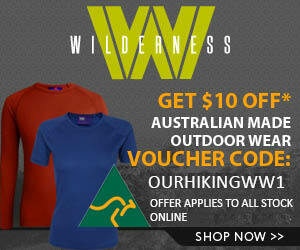 Have you tried a different method or brand to increase your sleeping bag rating? Shoot us a comment below and share your experiences or ideas. Non Disclaimer: This is not a sponsored review. It has been created to share our experiences. We paid full price for the liners from Mountain Design’s, Geelong (well, less our member discount). If you are interested in providing products or services for review, please contact us via our advertise with us page. I forgot to mention the price, they are around $A60 so it is not something you would buy spur of the moment. I have to say, I used it at Lake Elizabeth and was nice and warm. I had the foot of my sleeping bag open all night with my feet hanging out and was warm enough. Crossing fingers I will be warm enough in Tassie. Sue has a huge one Planet -7 degree bag anyway so she will be sweating I reckon! We have a Queenslander with us tonight and she agrees. Maybe the mid weight one would be the go. Sue is heading to Ayers Rock in October and plans to take one as her main “bag”. Last year she took a One Planet bag and was HOT. I concur with Steve. I’ve used them as a standalone bag on warm nights just fine and had one in my sleeping bag (rated -5) when I did the OT. Although it was November, we left in a bushwalkers’ alert and had two days of snow and slept in the huts (everyone says is colder than a tent) but still was warm sleeping in minimal clothing. In fact, took it out after the snow stopped and it began to warm up a little, but I do sleep warm. The only real issue is is the slight tangle factor sometimes when you roll over but really not worth whinging over, especially if your warm! THe dime stores (“Reject” etc) had some polar fleece sacks which were $10 when they came out and about $5 in the summer sales! I’ve used one sleeping in a camper van and really liked it; plan to try next month on a glamping trip in the blue mountains. But one can’t complain of the cost. Good pick up Diane, great price. The liners worked really well on this last trip as it was well below zero. How did the Reactor Thermolite Liner fair on the colder camping trip? We are currently considering a purchase.